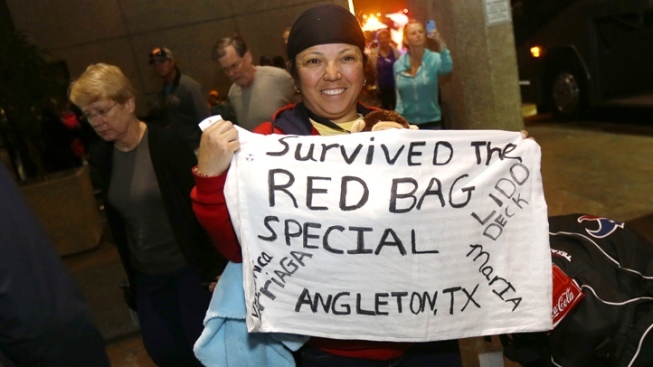 Despite enduring five days stuck on a disabled cruise ship in the Gulf of Mexico that some said was overrun with sewage, passengers aboard the Carnival Triumph may have difficulty finding relief in the courts, legal experts said. Passengers signed away their rights when they paid their fare, attorneys said of the five-day nightmare that ended in Mobile, Ala., early Friday. An engine fire had left the giant cruise ship bobbing on the ocean. "When you buy the ticket, you give away a bushel of rights," said attorney Clark Aristei of the Los Angeles law firm of Baum, Hedlund, Aristei & Goldman. Aristei pointed to a long, detailed document called a ticket contract, to which all passengers agree when they pay their fares. Aristei said few, if any, passengers read it. If they did, they would find they had waived the right to sue for emotional distress, a common complaint in situations such as the one that occurred aboard the Carnival Triumph. The document also eliminates a passenger’s right to a jury trial, and even limits the court where passengers can file to the federal court in Miami. "Airline passengers have far greater rights than cruise passengers," Aristei said. The Airline Passenger Bill of Rights is a set of federal regulations strengthened by Congress in 2012 after a series of horrific incidents where passengers were trapped on planes for hours without food, water or bathrooms. No such regulations exist for the cruise industry. And Aristei said recent court decisions have upheld the cruise contracts, leaving cruise passengers high and dry. All that could be tested soon. 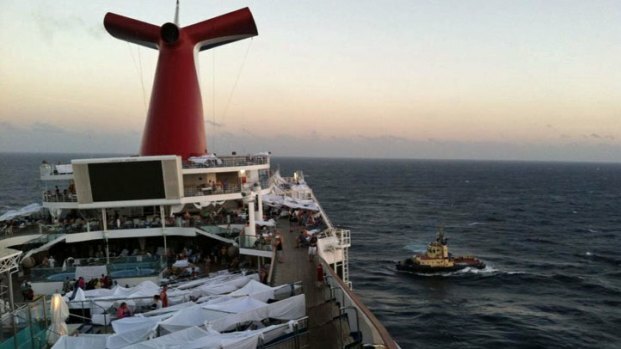 Less than 24 hours after disembarking from the crippled ship, Cassie Terry of Texas filed a suit against Carnival, saying she feared for her life or that she might suffer serious injury or illness aboard the Triumph. Carnival says it can’t comment until it sees the lawsuit. NOTE: An earlier version of this story stated that the Airline Passenger Bill of Rights was passed in 2012. In fact, regulations went into effect in 2009 and were strengthened in 2012.